You are here: Home / Annuities / Annuities On Trial! Is Your Annuity Guilty or Not Guilty? I would definitely consider a SPIA as part of our retirement plan, but a lot of what’s out there is junk. The equity-indexed annuity really bothers me. The way I’ve seen it they’re presented in such fear-based and misleading terms that it’s really shameful. Also, I clicked over and read some of the comments on your previous EIA article. Talk about stirring up some trouble! I particularly liked the guy who claimed that EIAs have no fees. No fees? Really? You mean they’re just giving these things away for free? What charitable people these insurance companies are! There is a saying that annuities are more often sold rather than bought. I’m guessing annuities of various stripes constitute a nice payday for these agents and registered reps. As for the comments on the EIA piece that guy was really entertaining, you have to wonder if he actually believed what he or she wrote. I think what people need to realize is that investment products won’t help you achieve your goals. They’re a mere piece of a puzzle. A proper plan and implementation will. Neither of which annuity sales people provide. I will say though, that there are some variable annuities out there that are providing some good return. Just saw one last week that was paying out a guaranteed 3% net of fees. This one was in place for a number of years. You may find a good fixed income bucket in the annuity you already own. But like you said above, be cautious of what you’re purchasing. As I mention in the article it’s not annuities that I am opposed to it’s how they are too often sold and many of the products that are sold. Funny how commissioned sales types never mention low cost, no-load, no surrender charge products that are available out there. An annuity can be a key part of a well-constructed financial plan. When you consider the general approach to money most Americans seem to have – bribing them with a nice steak dinner to get them to turn over their retirement fund is brilliant. Shady and wrong, but brilliant. Annuities are still a bit of a puzzle to me, but increasingly they seem like a good aspect of a retirement plan, but not great as the entire plan. Also, not really something I would feel comfortable discussing over dinner. I prefer my financial transactions to occur in offices of people who give me at least the sense (false or otherwise) that they know what they’re talking about. Mel thanks for your comment. Sadly I’ve found that annuities are also a puzzle to many of the commissioned sales types who sell them as well. Nobody should buy any financial instrument because it is being sold to them, they should use these instruments as part of a financial plan to achieve their financial goals. Live reverse mortgage the word annuity carries such negative tone that it is a tough sell for the individual investor. But when used correctly, they provide stability to your income; just that the fine-prints are so long, it scares the average joe! Thanks for your comment and I agree with you. Great article, Roger. I’m actually working on a very similar post. In my experience, annuities get a bad rap because they were either misrepresented to the client (guaranteed 7% return) or were sold purely on fear (you wont’ lose your money, etc). That being said I do believe that in some situations an annuity *could* make sense to the client. 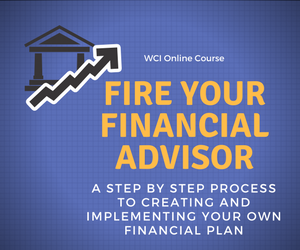 But the only way to know that is to do a comprehensive financial plan for the client and identify their income needs, etc. Jeff thanks both for your comment and for the compliment. I agree that annuities can be a good tool for some clients. My issue is more with the way too many advisors sell the product and with some of the actual annuities that are sold. I couldn’t agree more with your approach of starting with a financial plan and seeing what is appropriate for a given client.